Intel and Micron announced the creation of world's first 20nm 128Gb flash memory chip. Additionally, the companies also announced mass production of their 20nm 64Gb NAND flash. 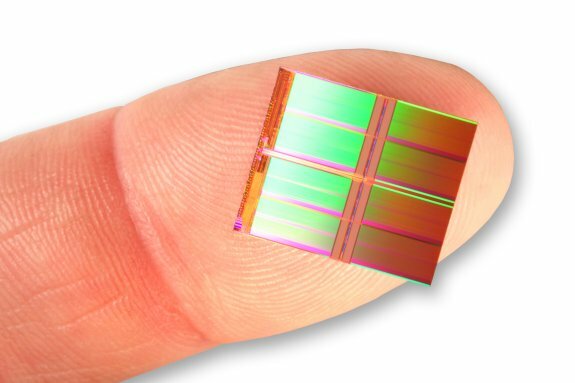 Intel Corporation and Micron Technology, Inc., today announced a new benchmark in NAND flash technology - the world's first 20 nanometer (nm), 128 gigabit (Gb), multilevel-cell (MLC) device. The companies also announced mass production of their 64Gb 20nm NAND, which further extends the companies' leadership in NAND process technology.